Baramulla, 11 March: Deputy Commissioner Baramulla Dr G N Itoo today informed that all arrangements have been made for the smooth, free and fair conduct of Lok Sabha elections, the announcement of which has been made yesterday by the Election Commission of India. DC stated this during a press conference organized by him here at DC office with regard to the implementation of Model Code of Conduct (MCC) and other election related queries. 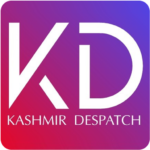 Dr Itoo, who is also the District Election Officer informed that polling in Baramulla parliamentary constituency shall be held in Phase ist on 11th of April 2019. The notification will be issued on 18th of March and the last date for filling of nominations will be 25th of March. The scrutiny of nomination papers will be held on 26th of March whereas the last date for the withdrawal of candidature shall be 28thof March. The polling and the counting shall be held on 11th of April and 23rd of May respectively. Regarding the Model Code of Conduct which came into force from 10th of March, DC asserted that any violation of the prescribed rules and guidelines envisaged into MCC shall be taken seriously and stringent action as per law will be initiated. Elaborating the requisite arrangements put in place for the smooth conduct of elections, the DC said that all the required polling stations have been identified where arrangements for minimum assured facilities have been made. He said that various committees regarding surveying and expenditure have been constituted adding that other necessary arrangement, if any shall be finalized upto 31st of March. Meanwhile, DC appealed the voters and political parties to participate in said elections with full zeal and enthusiasm and sought cooperation of various stakeholders to play a proactive role in strengthening democratic setup. Responding to a question about the establishment of polling booths in various educational institutions, the DC said that the academic session will not be disturbed for which alternative arrangements have been made. Regarding the smooth and secure voting in polling booths located along LoC, the DC said that in case of any exigency a comprehensive plan has been formulated so that safe and secure polling is ensured. SSP Abdul Quyoom, Deputy District Election Officer Sameer Jan, DIO Mudassir Hussain and others concerned were present on the ocassion.